Planning an entire wedding yourself can be a daunting experience to say the least. Once the excitement of the engagement has settled, the gigantic task ahead can quickly sink in. At Table Art, we’ve learnt a lot from our brides over the years and listen to what they’ve struggled with most when it comes to planning their wedding. Let us help make your life easier by sharing with you 5 easily forgotten wedding reception details. In our latest post we discussed how there is no such thing as a standard size table. 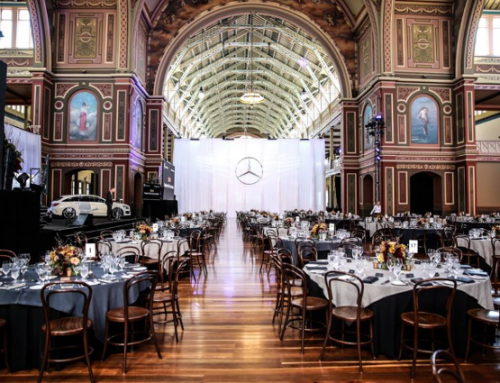 Hire tables can range from 70cm to 1.2m wide – this impacts on how they will fit in your venue and the amount of space you’ll have between chairs. 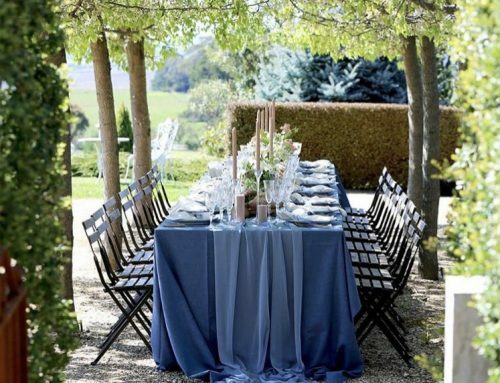 It also determines how far your table linen will fall on the sides and if you’ll need underlay cloths to cover the table legs for a neater look. 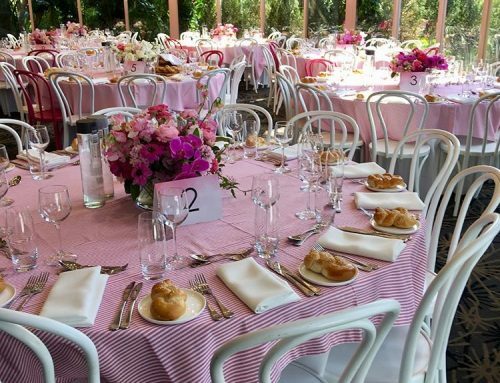 The table width will influence the size and style of decor you will be able to have in the center without being too crowded after setting the crockery, cutlery, glassware, napkins, place cards, salt & pepper. Are you having a buffet, table service or share platters? If you’re having share platters, ask your caterer how big the platters are so you can factor in enough space for them on your table. For individual servings and buffet, will the plate already be on the table or will the table be bare except for cutlery and glassware? Whichever you decide, it’s important to style your napkin, menu and place cards in a way that the tables don’t look too empty or too busy. Depending on whether you’re having your wedding at a venue, marquee or private home determines who’s helping with the set up. Will you ask family and friends (something to consider seriously before asking), will you hire extra staff or will the venue do it for you? 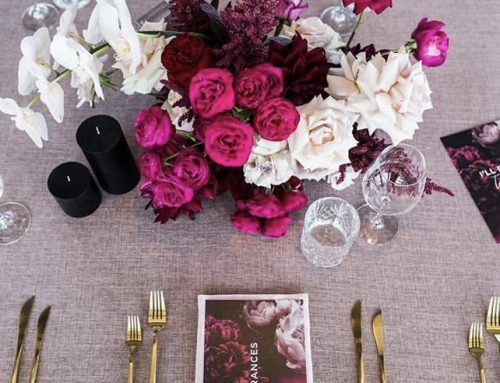 Items that need to be set are the tables, chairs, audio visual, cake, table cloths, napkins, menus, place cards, lighting candles, favours as well as crockery, cutlery and glassware – all in the correct order of course! 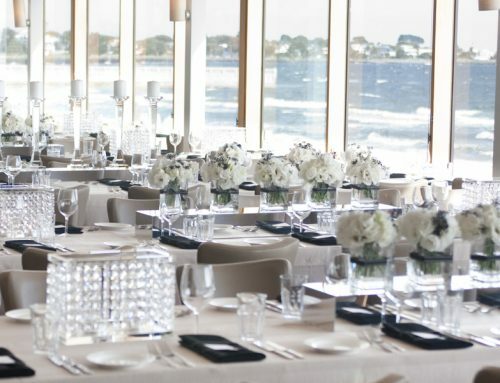 Another thing to consider is who will be doing the ceremony set up and pack down, entrance décor, and the styling for any other easily forgotten spaces such as the bar and bathrooms. Some venues have a very strict timeline and others are more flexible. This mainly depends on how many events they have before and after yours and when staff are scheduled on for. We have some venues that have given us one hour to set a room and others that require us to pack up at midnight or later. Make sure you discuss with your venue exact time frames that you and your vendors can access then work out a realistic solution. You may not want to put the burden of packing down an entire wedding on your family after they’ve just spent a full day celebrating with you. Also consider the equipment needed whether it’s a van or truck to transport, trolleys or ladders. Candlelight is one of the best ways to create mood lighting after dark. Does your venue allow real candles or do they have a LED candle policy only? If you have dinner candles in candlesticks, are they out of the wind/airconditioning and on a stable surface? You don’t want them falling over during dessert! Air conditioning blowing on candles also makes them burn down faster. As for pillar candles, will they be placed straight on the tablecloth (ideally not)? If so, you need to consider if it will burn the cloth if it finishes before the end of the night. Who will be lighting all of the candles before the guests arrive and blowing them out at the end of the night? When it comes to candles, we advise against beeswax, soy and coloured varieties as they can stain cloths and tables. 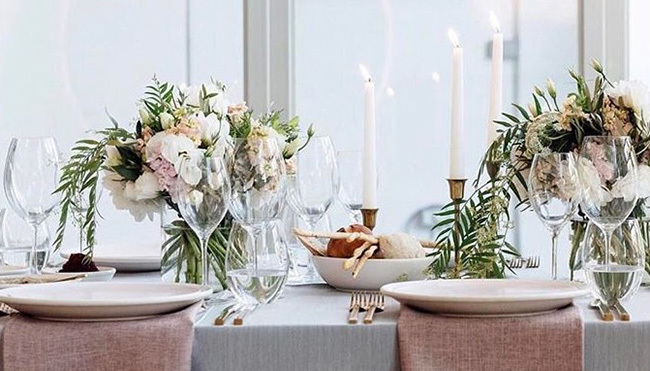 If you’re having a sparkler farewell, keep your sizzling guests away from anything that may be flammable: faux flowers, table cloths, napkins and your wedding dress! We hope this list has been helpful in at least one aspect of planning your wedding. If you can think of anything we’ve missed please let us know.